Store-bought plant food isn’t cheap, and the stuff tends to contain chemicals that aren’t great for the environment, and that you may not want to consume if you grow anything edible. Sometimes they harm plants, too. You can actually make your own homemade plant food, often out of inexpensive items you already have at home, or leftover food items that cost you nothing. Of course, composting makes a great rich soil for plants, and since it uses your trash and leftovers, it’s totally free and sometimes all you need. But in some cases your plants may need a little something more specific. You’ll need something to deliver the plant food, if you don’t already have it. I recommend a garden sprayer like this one if you prefer to mix everything up in advance. But you can also use a hose end sprayer to make things simpler. You just put all your ingredients other than water in the sprayer, hook it up to your hose, and let the water flow through it to deliver the fertilizer. They don’t carry either of those at most Home Depots, but you can get them shipped to a store for free. This one is good for any plant, and very simple to make. Use it once every 4 to 6 weeks, or even less if your plants are happy. Mix all that together in a gallon of room temperature water. Store in an airtight container. This is definitely the simplest recipe for homemade plant food: mix 1 tablespoon of Epsom Salts in a gallon of water. Put that in your sprayer and use once a month. Some people report the above recipe is better; others find this one does all they need. Horse manure makes a tremendous fertilizer, but you should avoid using it in a food garden unless you know the horse who produced it was never given any kind of medication or antibiotics. You can just add it directly to soil. But you can also brew it into a “manure tea” for use as a homemade plant food, which is a less stinky and messy way to go about it if you have indoor plants to feed. Don’t have a horse? Call up some local riding stables or places where they offer trail rides and ask if they’d like to part with some horse pucky. Many of them will let you have all you’re willing to haul, or will sell it to you very cheap. Yes, you can use other types of manure – cow is great, and rabbit manure stinks a bit less than the others. You can get cow manure from many places that keep cows – local farms, for example. Rabbit manure is a bit trickier, unless you have pet rabbits. Call vets and pet stores in the area to see if they’d be willing to put aside rabbit manure for you to pick up periodically. Again, remember not to use manure from animals that have been medicated. 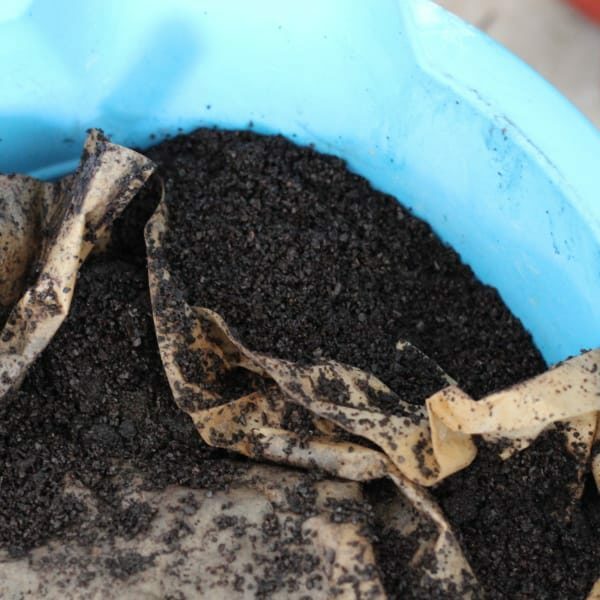 Wrap a few tablespoons of manure in a porous cloth and tie it up. Put the bundle in a pint glass of water. Let it “steep” for a few days. Feed your plants with it. You can make bigger batches of this, if you want. Put about five quarts of manure in a porous cloth in about 5 gallons of water and let it steep for a few days. Brew a green tea bag in a quart of water. Let it brew and then sit until it’s room temperature. No need to remove the tea bags. Water plants with this every 4 weeks. For the alternative watering version, brew a single green tea bag in two gallons of water. Follow the rest of the instructions, and use this very weak tea mix every time you water your plants. It will make a big difference. Gelatin is a good source of nitrogen for plants. Be aware that not all plants like this amount of nitrogen, however. Test this recipe on one plant you don’t mind losing before spraying your entire collection with it. Some plants really thrive on it. Dissolve a packet of unflavored gelatin in a cup of hot water. Once it’s dissolved, add about three cups of cold water. If you keep an aquarium, you have to remove and replace the water on a regular basis to prevent extreme grossness and lots of dead fish. 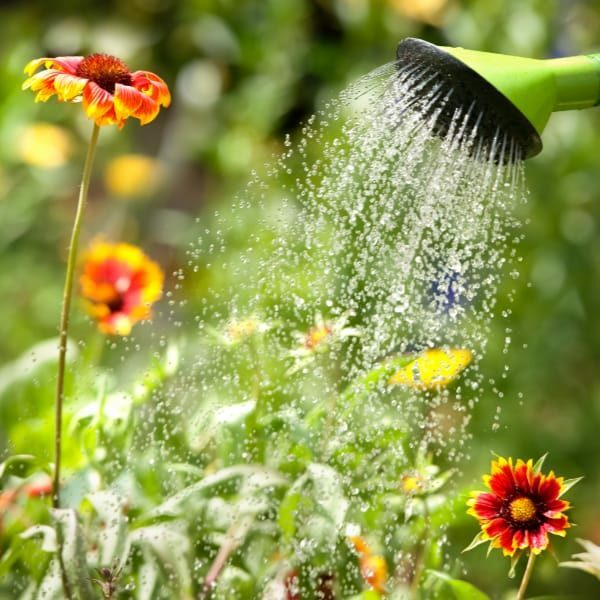 Water your plants with the aquarium water you’ve removed. They can make good use of the fish waste. Coffee is fairly acidic, but the grounds after brewing are supposedly not. Since growing healthy plants has a lot to do with ph balance, this can be very good or very bad, depending on the plant’s ph needs and the ph balance in your soil and tap water. It also depends on the specific blend of coffee you use! Collect leftover black coffee (no cream, no sugar, no additives of any kind!). Dilute it significantly – say, three ounces into a gallon watering can. Use that once every six weeks. If your plants seem to like it, you might want to get a little more aggressive. Note: decaf may be better, as some gardeners believe that caffeine interferes with protein metabolism. Coffee grounds as compost are great for plants, and some gardeners stick used coffee grounds straight into the soil of some plants. You can even include the used coffee filters. With soil, there’s a bigger margin for error, so plants which don’t like getting watered with diluted coffee might react just fine to this. Can I use this on African violets as well as my calla lilies? And my bromiliads? It should work, but I haven’t tried it on those particular flowers, just fyi. A word of warning about horse manure. It is often contaminated with deworming meds and even antibiotics, which is not good for organic gardens. (Cows and sheep are not medicated to the same degree as valuable horses) Also, if making manure tea from any type of manure, be careful! Bacteria (both good and bad) thrive in this stuff so use gloves and be careful not to spray it around or inhale close to it. But it is an excellent manure for anything except your vegetable patch because horses are fed much more nutritious food than grazing animals and thus have more nutritious poo!. The first one on this page should work just fine. I’ve sprinkled epsom salts and coffee grounds on chili peppers and bell peppers. Epsom is great if the leaves are turning yellow, and coffee helps them grow. I haven’t tried the other recipes on them. Hi, my name is Karime Gonzalez. I’m gardening lettuce and I would like to know if there is some kind of recipe that you know of, that I can use to make the lettuce grow faster. (fertilizers). I haven’t tried to grow heads of lettuce. For leaf lettuce, it depends on your soil. I find my soil needs some epsom salts, and I can even just scatter a handful in and then water the plants. It also responds to the coffee recipe. I’m guessing heads of lettuce will be similar? But I really don’t know. One of the best ways to get tips is to visit a local farmer’s market and talk to them. They’re working with the same kind of soil you are, and they know what will and won’t grow, and how to do it. when using the “Complete Plant Food” do you put it in a spray bottle and spray it on the plants. Do you water the plants with it? That’s how I use it!